Decided to drive out to Girona this summer for a week. Have 'reserved' a nice apartment in Banyoles (just up the road) as a starter (bit of outdoor roof space, parking etc). Would I be better off in Girona itself; talking to people, it's quite small with narrow streets so finding a comparable place to stay could be difficult and, potentially, more expensive? Went on the Col Collective website and there were a few videos of great rides in that area; guess Rocacorba might have to be the 'climb of the week'. Does Spain do a comparable (to the UK) OS map for route planning; quite like a paper map that you can spread out and get a good overview. Anything else to note, or be aware of in that area? Banyoles is a great location for pure cycling. Girona is a great location for after ride activities. You can buy maps of 'Comarques', equivalent of counties, that are similar to OS maps. But the riding around Banyoles is stunning. 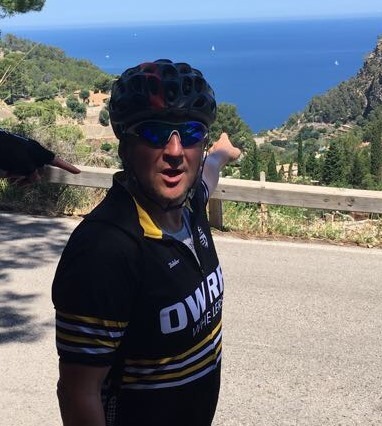 Must-do routes include the 2 climbs up to Mare de Deu del Mont both HC climbs, the top 6kms or so is the same and the views at the top breathtaking; Castellfollit la Roca to Oix, Beget and Camprodon; Vallter 2000 and even over into France. You can also access La Garottxa region which is also super awesome cycling, for a brutal HC climb, check out Collfred. If it's maps that you're after, you need to have a look here, http://centrodedescargas.cnig.es/CentroDescargas/index.jsp for the maps you want and ordinarily buy from http://tiendaverde.es/, but the website is down.